This week’s splendid new “Jungle Book” from Disney may inspire families to check out the books that inspired it by Rudyard Kipling. Children may prefer his “Just-So” stories and “Rikki-tikki-tavi,” about a curious mongoose who saves the day. Families may also want to watch the original live action version of the story, starring Sabu. Or Disney’s 1994 live action version, starring Jason Scott Lee and “Games of Thrones” star Lena Headey. And of course there is the classic Disney animated version, the last film personally supervised by Walt Disney himself, with some of the all-time best Sherman Brothers songs. Like the new film directed by Jon Favreau, this version has outstanding voice talent, including Sebastian Cabot (Bagheera the panther), George Sanders (Shere Kahn the tiger), and Sterling Holloway (also the voice of Winnie the Pooh) as Kaa the snake. 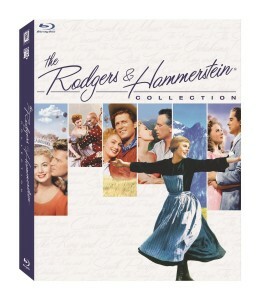 Fox Home Entertainment is releasing the Rodgers & Hammerstein Blu-ray Collection on May 6. This Amazon-exclusive collection will feature six of the 15-time Academy Award-winning movie musicals by the EGOT and Pulitzer Award-winning team of Rodgers & Hammerstein, including Best Picture winner The Sound of Music, Oklahoma!, The King and I, South Pacific, State Fair, and Carousel. Bonus materials include a Sing-A-Long version of The King and I for die-hard musical theatre lovers and more than an hour of behind-the-scenes features for Oklahoma! Fox will release Oklahoma! and The King and I in stand-alone Blu-ray and DVD combo packs October 7 in commemoration of their 60th anniversaries in 2015 and 2016. Like movies? Like doing good? Check out www.eflixir.com. There are thousands of uplifting films and a portion of every fee goes to charity. It is wonderful to share holiday classics like “A Christmas Carol,” “White Christmas,” “The Grinch Who Stole Christmas,” “A Christmas Story,” and “It’s a Wonderful Life,” and family favorites should be a family tradition. But make some time for some new ones, too. I recommend these lesser-known gems. Christmas in Connecticut Holiday chaos ensues when a Martha Stewart-style columnist has to host a WWII soldier for Christmas. It turns out that the columnist (Barbara Stanwyck), who writes about her farmhouse in Connecticut, her husband and baby, and the wonderful meals she prepares, is a single woman living in Manhattan and has no kitchen skills of any kind. And when the handsome GI arrives just as she is about to marry the real owner of the farm, things get delightfully complicated. Love Affair It’s the first version of “An Affair to Remember,” the Christmas classic all the women cry over in “Sleepless in Seattle,” starring Irene Dunne and Charles Boyer. It doesn’t have Cary Grant and Deborah Kerr, but it is witty, sophisticated, romantic, and endearing. Come To The Stable Loretta Young and Celeste Holm play nuns who are trying to get the money to build a hospital for children. This is a very sweet, understated film and the two actresses are positively radiant in their habits. Remember the Night Stanwyck again — this time as a shoplifter about to be sentenced just before Christmas. Her “Double Indemnity” co-star, Fred MacMurray, plays the prosecutor who wants to delay the sentencing so that the judge won’t be lenient due to Christmas spirit. So, he ends up taking the defendant home with him for the holidays and everyone learns something important. Period Of Adjustment Tennessee Williams’ only comedy is this story of two young couples, newlyweds Jim Hutton and Jane Fonda and newly separated Anthony Franciosa and Louise Nettleton. A lot of misunderstandings and hurt feelings — and interfering in-laws, tipsy carolers, a hearse, and a trip to the police station — lead up to the happiest of happy endings on Christmas Eve. This Christmas A welcome addition to the Christmas movie tradition is this warm, funny story of a mother (Loretta Devine) and her six children, with an all-star cast that includes Delroy Lindo, Regina King, Idris Elba, Columbus Short, and Chris Brown. Be sure to watch the wonderful dance number over the closing credits. Desk Set Spencer Tracy and Katharine Hepburn star in this sparkling romantic comedy about a woman who heads up the research department at a television network and the man who is in charge of installing a computer that could replace her. 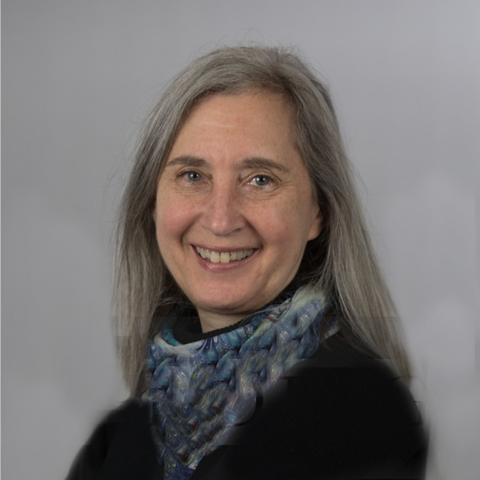 Today’s audiences will smile at the old-fashioned punch-card computer that fills the room. But the issues it raises are still timely. Die Hard A cop visiting his estranged wife at her office on Christmas eve finds himself defending the building against a supervillain. Bruce Willis and Alan Rickman became stars and the movie led to a whole series of “Die Hard in a ship/train/school” movies as well as four sequels. The Gathering Ed Asner plays an industrialist who asks his long-estranged wife (Maureen Stapleton) to gather his long-estranged adult children for Christmas. Yes, it’s another accusation/revelation holiday drama but it is one of the best. Bells of St. Mary’s We can all agree that the twist revelation at the end makes no sense at all, but the chemistry between Bing Crosby (never more comfortable on screen than when he was playing a priest) and Ingrid Bergman (as a nun) and the wonderfully natural nativity play put on by the children make this a holiday treat. Previous PostPrevious Wait, Disney Animation Villains Got Married? Next PostNext Contest: Want to Join Me At the Critics Choice Awards? For a delectably spooky Criterion double feature, add I Married a Witch with Veronica Lake and Fredric March.